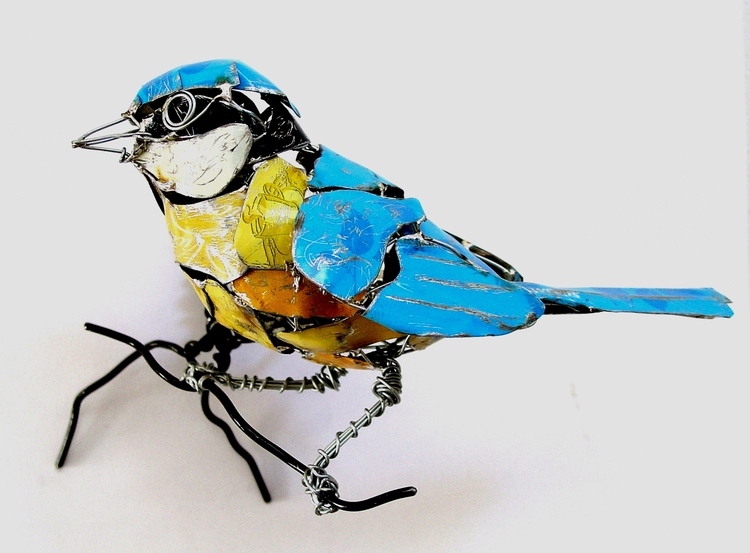 Artist Barbara Franc makes sculptures of animals out of recycled metal. 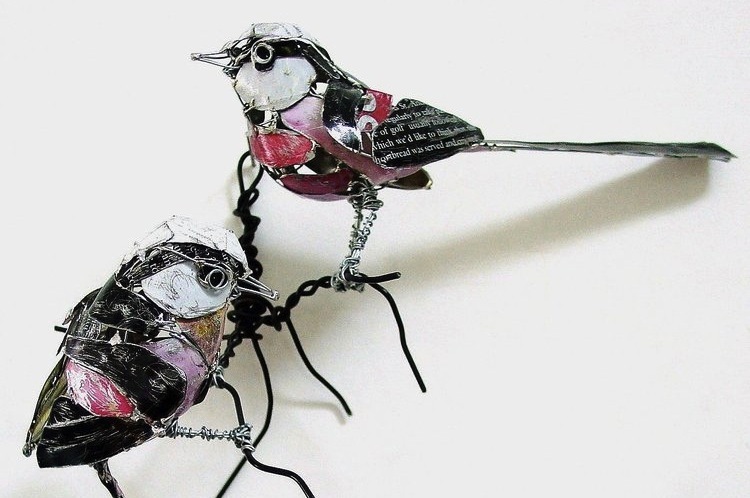 I know turning trash into art is nothing particularly new, but her series of British Birds are really amazing. They remind me of every Disney bird ever—little sweet things flitting around, helping Cinderella or chirping at Snow White or whatever—only this is the robotic, steampunk version (21st Century by way of the 18th). Brightly colored and delicately rendered, they are prefect baby monsters, tiny captains of chirpy industry. Soft bodies in hard metal. A bit dry for an artist’s statement, but it makes sense. Anyway, her birds are beautiful. Check out the entire series here. < Previous Ira Glass on how to be successful in a creative field. Next > Read books, drink wine. These are really wonderful. I enjoyed myself Your post very much. There so many interesting posts to be find. Recycling old car parts .